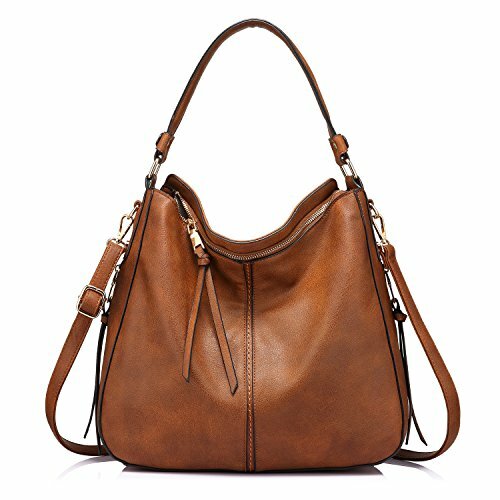 Handbags for Women Large Designer Ladies Hobo bag Bucket Purse Faux Leather | What Should I Say? Exquisite workmanship and the classic color, making this large handbag a great partner for your busy schedule. 4 Interior: a zipper compartment, a zipper pocket and a cell phone pocket,a slot pocket. If you have any problem/question with this bag, please don't hesitate to contact us and we will respond timely and do our best to serve you! ✦Dimensions: 13.8" x 5.1"x 11"(L x W x H). It can be used as a casual shoulder bag or a awesome crossbody bag. Handle height: 9.8". Shoulder strap length : 51.18"
If you have any questions about this product by Realer, contact us by completing and submitting the form below. If you are looking for a specif part number, please include it with your message.